After graduating from the School of Visual Arts in NYC, Kyle has made a career between fine art and advertising photography for the past decade. In 2013 Kyle left his full time photography position without a plan. Within a year, he found himself working with Roger Benton at his Urban Sawmill Company in NYC. Knowing nothing about wood or woodworking, he became immersed in the process of turning a tree into furniture grade material. What was once a way to stay occupied is now a full fledged obsession. Mostly self taught, Kyle has spent the last 5 years in the shop as much as possible—in between photoshoots. He hopes to one day realize his goal of being a full time furniture maker and designer. 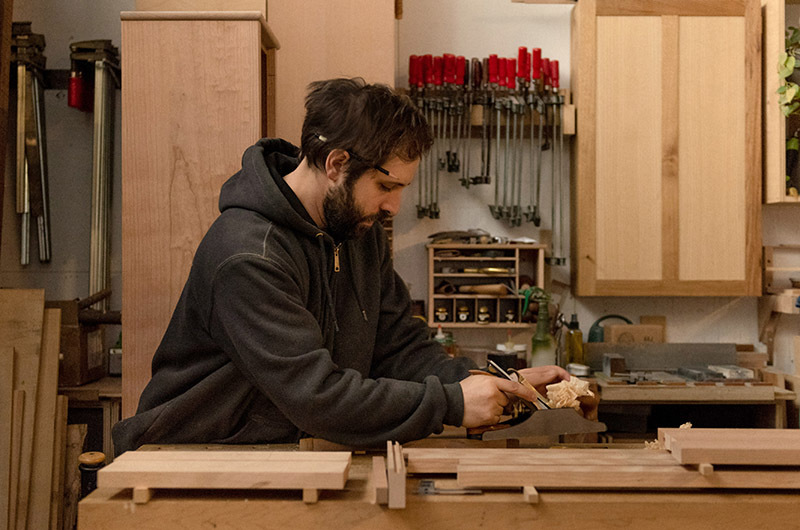 Kyle is interested not only in furniture making but also its history, early finishing techniques, and its community.